T10 Ltd work closely with our school to be the perfect addition to our existing extra curricular provision. They listen to our needs and are flexible enough to plan high quality activities for any age range we request, in order to compliment our staff lead clubs. Their coaches are professional, reliable and work with a truly inclusive philosophy, showing capacity to deal with all children who wish to take part. Improve the quality of your school's sports and PE provision with T10 Coaching. T10 Coaching offers School's with a wide range of provisions to assist in the delivery of sports for all ages. If your School is looking for high quality extra-curricular or curriculum time coaching then look no further. 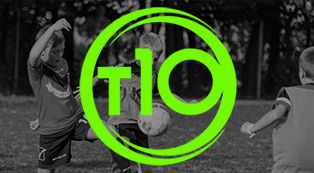 At T10 we currently deliver sessions to over 1000 children per week in Surrey, London, Kent and Sussex working from our Head Office Based in Croydon. T10 Coaching can help your School, whether you require one of the above School services or all of them feel free to contact T10 for a no obligation meeting and FREE introduction to services today : sports.education@t10.co.uk. PE Lessons & PPA Cover: T10 Coaching can deliver national curriculum PE lessons for Foundation Stage, Key Stage 1 and Key Stage 2. T10 Coaching supports over 100 nursery, infant, junior and primary schools in Surrey, London, Kent and Sussex. T10 Coaching's team of full-time tutors plan and deliver structured PE lessons covering all areas of the national curriculum, using a range of sports, games and activities. Tailor made PPA Cover for your school from one trusted provider. In addition to this since the introduction of Planning, Preparation and Assessment (PPA), we help cover the extra staffing demands PPA places on schools by delivering a high-quality physical education programme. Throughout the programme, pupils’ progress is assessed by T10 instructors, with learning outcomes evaluated against curriculum criteria outlined by Ofsted. Effort and behaviour can also be documented. T10 Coaching provides each school with resources required to ensure all areas are covered and feedback is recorded according to Ofsted guidelines. There are a range of sports and activities delivered and T10 Coaching will work with each School Client when making the choice. After School Clubs - Before & Aftercare (Breakfast & Lunchtime Clubs also available) : Alongside the above School's have come under increasing pressure to provide quality Before and Aftercare provison at affordable prices for all sports/activity clubs to help working parents and to ensure children are reaching their recommended daily exercise. Activites range from Gymnastics to Crossfit and everything inbetween, T10 Coaching will listen to your needs and deliver. Contact T10 Coaching if your School wants to offer affordable, reliable and quality School Holiday Provision whilst earning revenue for your School. T10 offer a range of Holiday Camps from Reception to Year 6. If your school requires teacher training days and/or inset day activity day's please get in touch today for more information. Using FUTSAL (a Brazilian way to play football) your budding little Ronaldo's will receive more touches of the ball and quickly improve their skill and technique in preparation for mini matches in the school playground. This club can be offered to reception, key stage 1 and key stage 2. A fast paced indoor game which can be altered to play outside too. Using a smaller and specialised weighted ball children receive 210% more touches of the ball, in turn this equals more fun and a quicker route to development. Clubs run for 10 - 12 weeks depending on school requirement's and term length. An action packed multi sport course that allows your little athletes to experience a variety of sports! Children will enjoy using our sports equipment and showing off their new found sports skills to family and friends. A unique club suitable for Reception, Key stage 1 and Key stage 2. Multi sports club incorporates 3-4 different sports through out the school term. This gives children an opportunity to try sports they may not have been introduced to before. Some of the sports on offer are; futsal, dodgeball, tennis, tag rugby, gymnastics, kwik cricket, athletics and general fun and games. Clubs last 10 - 12 weeks depending on the school's requirement's and term length. A flexibly fun filled gymnastics club before, during or after school to enhance motor skills for both boys and girls. Children will grow with confidence and try new skills but also improve on current skills. Gym club is suitable for Reception, Key stage 1 and Key stage 2. Club's run for 10 - 12 weeks depending on your school's requirement's and term length. Take part in the T10 mixed or solo Dodgeball and Basketball clubs. Filled with fast fitness fun! Clubs range from 10 - 12 weeks depending on school's requirement's and term length's. These club's are suitable for Reception, Key stage 1 and Key stage 2. Fun kwik cricket & tennis club for all! Improve hand eye coordination before, during or after school with your friends. A unique club suitable for Reception, Key stage 1 and Key stage 2. Clubs run for 10 - 12 weeks depending on your school's requirement's and term length. Suitable for key stage 1 and 2. T10 have introduced an after school Arts and Crafts Club packed with fun craft activities to keep children entertained. Children will participate in fun & games, competitions and take crafts home. Crossfit is an all go club concentrating on maximising fitness for the children participating. Based around assault courses/obstacle courses to challenge the children and ensure lots of high energy fun and encouragement is given. Newly introduced cooking club includes snack art sessions making food and snacks fun whilst learning about nutrition and food groups, healthy eating and more. T10 run high 5 Netball Clubs after school for Key stage 2. This may be a parent funded club or a school funded activity forming the school Netall team. Netball is a brilliant way to keep active whilst having maximum fun! T10 have designed this hybrid after school club as part of our school funded after school activities programme. Typically half the school term will be Cross Country and this changes to Crossfit after the Half Term break. Intense , fun fitness.